The Oil & Gas Awards Industry Summit and Awards Gala Dinner wrapped up last night in Houston, Texas. Hundreds of oil and gas industry members took part in the educational summit and awards dinner for this third annual event in the Gulf Coast region. The Awards continue to act as are a platform for the oil and gas industry to demonstrate and celebrate the advances made in the key areas of environmental stewardship, health & safety, efficiency, innovation and corporate social responsibility. VZ Environmental won this award at the Denver gala last year and has now chosen to sponsor the award. The VZ Environmental Award for Excellence in Environmental Stewardship spotlights a company judged to be an industry leader in environmental stewardship. Green Energy Oilfield Services, LLC was selected from the many entries that the Oil & Gas Awards received for the Gulf Coast region. 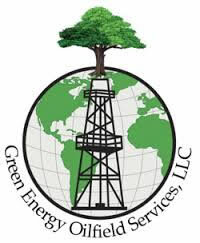 Green Energy Oilfield Services, LLC is the first all Natural Gas (LNG) fueled Oilfield Services Fleet in Texas. Currently headquartered in Fairfield, Texas, Green Energy Oilfield Services, LLC (“GEOS”) is a leading provider of fluid management services including, transportation, storage and disposal services for major and independent exploration and production companies.